“Physically Modified Athletes” will be the theme of the conference given by Dr Leonardo Mataruna in Rio de Janeiro. 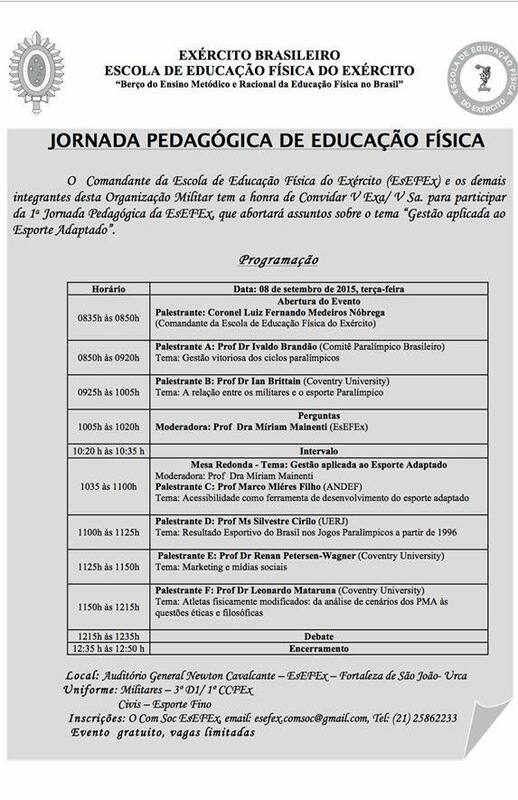 The event, sponsored by the School of Physical Education of the Brazilian Army, will take place on September 8th. In addition to the Dr Mataruna, researchers from Coventry University Dr Renan Petersen and Dr Ian Britain will also attend the conference talking about social media in sports and the relationship of the military with the paralympic sport, respectively.